The Saver Fare was introduced last Thursday – but it’s not expected to be more popular than the previous low-fare option, Smart Fare. AER LINGUS HAS hit back at reports in Britain that it is to charge for blankets on transatlantic flights – by explaining that it’s only for passengers choosing a new money-saving fare option. Last Thursday, the airline introduced a new fare option called Saver Fare, which is its lowest fare. With this fare, blankets, headphones and baggage (aside from cabin luggage) are optional extras and all incur a charge for the customer. Under the next option, Smart Fare – which would have been the previous low fare option – a 23kg bag, seat selection, blanket and headphones are included. Saver Fare is €40 cheaper than the Smart Fare option. Customers choosing the Saver Fare ticket must pay €5 for a blanket, €3 for headphones, €20 for seat selection and €37 for a bag, if they decide to add them to their fare. They can take the blanket and headphones with them when they disembark from the plane. It’s understood that the new fare was introduced due to the challenges faced because of the rising popularity of low-cost long-haul flights by the likes of Wow Air and Norwegian Air. In January, Aer Lingus’s chief executive, Stephen Kavanagh told the Irish Times that the company might offer no-frills fares to try and combat Norwegian’s entry into the airline market. 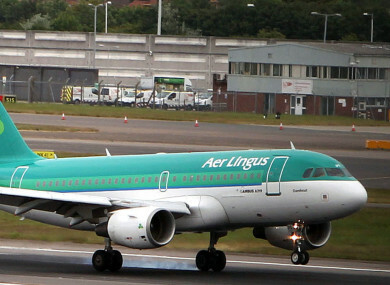 However, Aer Lingus does not expect the Saver Fare to oustrip the Smart Fare in terms of popularity among its customers. So far, the Saver Fare has proved to be popular with young males who are travelling light, and on their own. Saver Fare is not available in the UK market, and is only available on point-to-point travel, such as from Dublin to New York. Email “Aer Lingus to charge for blankets - but only for transatlantic passengers on new cheap fare”. Feedback on “Aer Lingus to charge for blankets - but only for transatlantic passengers on new cheap fare”.